Contact us by phone at 704-821-7325 or submit an inquiry online using our contact form or emailing us at emscompany@emsco-nc.com. 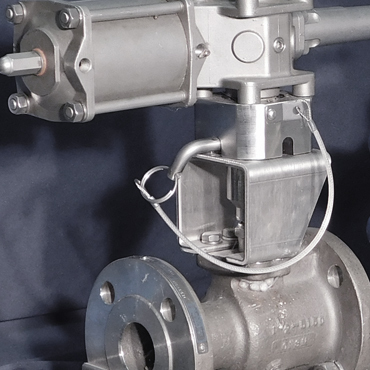 RetroLok® is a locking device that can be installed without modification to existing automation packages. 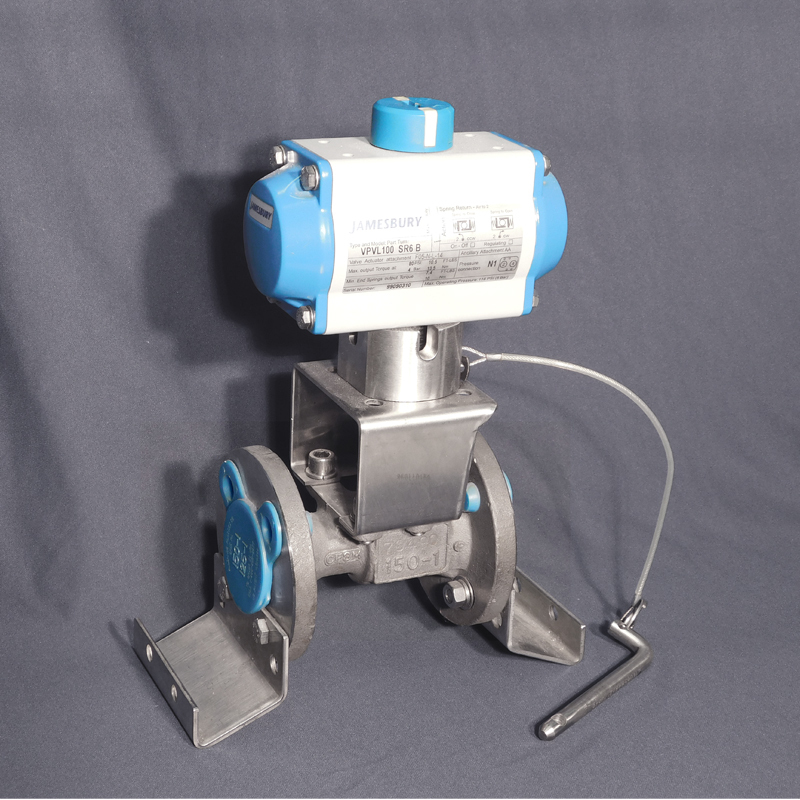 This device allows quick visual determination from a distance of whether the quarterturn valve is locked open or closed by the locking pin. No special skills required for installation. Click the brochure link or the image below to open instructions on ordering RetroLok®. The categories shown on this key are provided to cover standard features of RetroLok®. Please use these figure numbers to ensure prompt and accurate processing of your order. A detailed description must accompany any special orders. 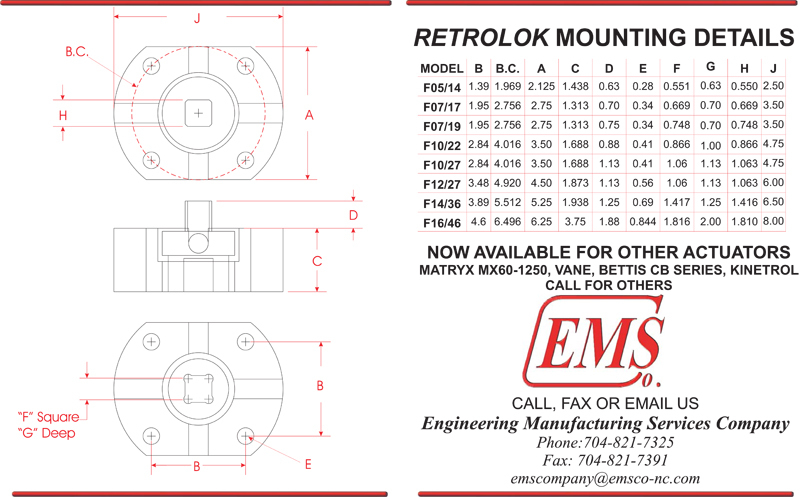 To request more information about RetroLok®, call us at 704-821-7325 Monday through Friday 8:00 am – 4:30 pm, email us anytime at emscompany@emsco-nc.com, or complete our contact form. To request a quote for RetroLok®, click here.